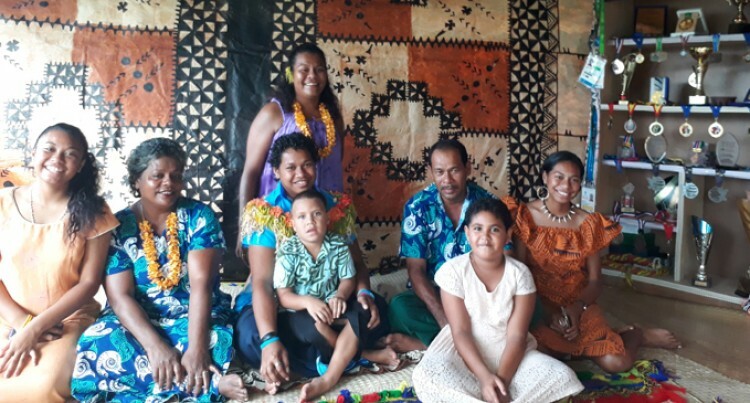 The family of Eileen Cikamatana and villagers of Taviya, Ovalau hosted a special feast for the weightlifting sensation yesterday. Cikamatana took a break from the Oceania Weightlifting Institute in Noumea, New Caledonia and made a surprise visit last week. And what a pleasant surprise, especially for her mother, Makitalena Cikamatana. “What a joy to see my special child,”Makitalena said. “She’s in for a week and we want to make the most of it. Makitalena said the feast was for Eileen. * Celebrating her 18th birthday. “But it is also an early Christmas and New Year feast as we will meet her again after the 2018 Commonwealth Games in Gold Coast,”Makitalena said. “She is strictly following a training programme designed by her coach Paul Coffa who wants her to compete in the Pacific Mini Games in December in Vanuatu. Makitalena shared why Eileen is a special child. “Her father thought she was blind when she was born because she could not open her eyes for two weeks,”she said. “I was told to keep the curtains down at home and was reassured by the doctors not to worry as she is a special child. “She is indeed and I thank her for her commitment and dedication to the sport she loves. “Ever since she took up weightlifting, the longest we have stayed together at home was three months. “Coach Jo Vueti wanted Eileen to stay with her in Baba, Levuka when she was in primary school because he noticed that she has a special talent. Eileen also took the opportunity to visit her late aunty Akisi Koco’s family. Koco was instrumental in her upbringing. She returns to Noumea tomorrow.